This post recommends the best gaming PC you can build for under $1500. 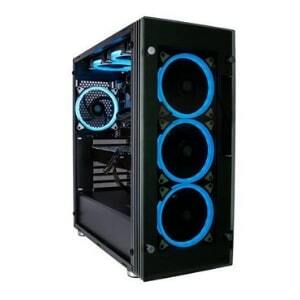 If you’re looking to buy a pre-made one, we recommend the CUK Stratos VR Ready Gamer PC. It’s powered by Intel i7-8700 and NVIDIA GeForce RTX 2070 that can run AAA games at ultra/high settings. You’ve climbed up pretty far in the ranks. With the best gaming PC build under $1500, you’ll enjoy the highest end of gaming, productivity and content production. Since we’re building a PC at such a high price range, we don’t have to compromise on any form of power: gaming, streaming, rendering or encoding. Incredible streaming/rendering performance. While i5s offer acceptable streaming and rendering performances for hobbyists, true enthusiasts and professionals need high-end hardware capable of managing raw video and other productivity tasks as fast as possible. Best-in-class gaming performance. As it relates to gaming, you begin to get diminishing returns at this point, particularly with CPUs. However, if you’re spending this much, there’s no excuse not to have the best hardware on the market. In particular, the i7-8700k won’t cause CPU bottlenecking in any modern titles, while the GTX 1070 Ti is the second-best GPU on the market, beat only by its recent successor the GTX 1080 Ti (notwithstanding the insane Titan, which singlehandedly costs more than even our most expensive build). The GTX 1070 Ti’s performance offers up to 60 FPS at 4K and easily maxing out games at 1440p/1080p with even higher frame rates. This card is a powerhouse in every sense of the word. The extra muscle ensures that it’s perfect for VR gaming, too. It operates well above the minimum spec developers target and therefore minimizes stutters, a known cause of nausea in VR gaming. We choose parts based on quality and performance. While some may attempt to stuff, say, a 1080 Ti into a $1500 PC build, we know better than to do this! Without a CPU like the i5, any high-end GPU will end up bottlenecked in games, ruining the point of going high-end at all. In addition to being the best $1500 gaming PC, we’ve also ensured that this build is using balanced parts to create a system that doesn’t bottleneck itself and accomplishes the best performance possible in this section. In addition to our own knowledge and expertise, we also look to other industry experts like Linus Tech Tips and JayzTwoCents and publicly-available benchmarks to ensure that we’re making the right picks. While this build is primarily our hard work and expertise, make no mistake: it takes a village, and we’re always sure to learn where we can from our neighbors. In terms of pure gaming performance, i5’s latest 9th gen CPU is unbeaten. A large but quiet liquid cooling setup, perfect for your needs. Now with RGB lighting! One of the strongest GPUs on the market and a great value pick to boot- just a little bit of overclocking will bring you to the level of a 1080. A massive SSD, unbeaten in terms of pure value. This 3TB hard drive will be more than enough to hold all the games and media you need, but won’t be as fast as your SSD. 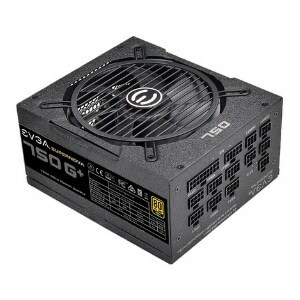 A stellar PSU from EVGA that will offer all the power this beast needs to stay alive. A Z390 motherboard that is perfect for overclocking purposes - with extra features on top of it. A massive case from Corsair....the body of the monster. This high-end computer was designed to bring out all the computing power you’ll need to beast out games at high settings on larger resolutions while also providing silky-smooth streaming/ rendering performance. One of the greatest strengths of this build is the i5-9600K. In terms of gaming performance, you’ve reached the zenith: while the i7 and i9 chips may have technically faster speeds, you will see drastically diminishing returns in terms of gaming performance (at least for current games). 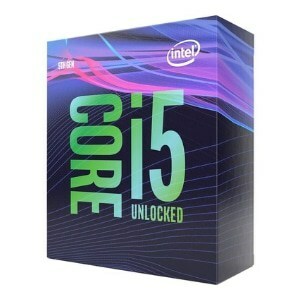 Those processors excel in non-gaming workloads, so if you’re mainly interested in gaming, then this i5 series CPU is essentially a perfect gaming processor. In addition to being the strongest i5 processor on the market, the 9600K is also overclockable! When combined with the included water cooler in this build and overclocking-compatible motherboard, you’ll be able to push this CPU even farther past its 4.3 GHz turbo frequency while still running a cool, quiet system. 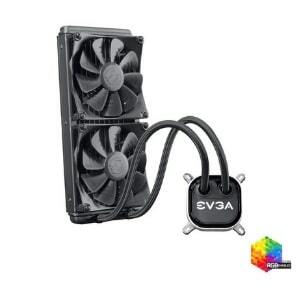 The EVGA CLC 280 RGB is a massive, closed-loop, all-in-one water cooler. The large radiator will help keep temperatures low and your system quiet, enabling more overclocking headroom and preventing your CPU from throttling at high loads. 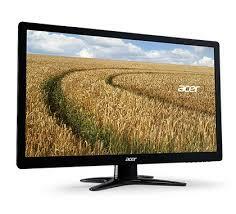 In addition to high-performance, low-maintenance water cooling, you also get the benefit of great aesthetics. In addition to all of these features, we were even able to squeeze in RGB without going over budget! Thank EVGA for that one, because this would’ve been unthinkable just a few a months ago. Oooh boy. The GTX 1070 Ti in this build can finally push 4K 60FPS in the right games, with 1440p, 1080p, and VR all falling to their knees in front of this king of graphics cards. While there is an even higher level of graphical performance out there, the 1070 Ti will likely destroy anything you throw at it in the foreseeable future. With just a little bit of overclocking, you can push it to 1080 levels of performance while saving a bunch of money! 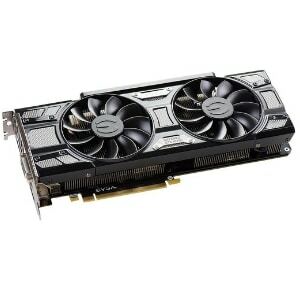 Additionally, EVGA makes GPUs with great overall build quality and has pretty good customer service. That, combined with the pricing of this particular card, makes it a great pick. 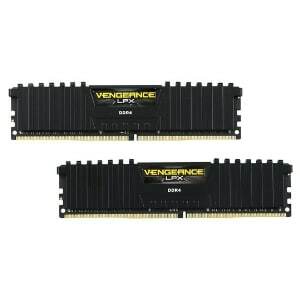 This 16GB memory kit offers more than enough RAM to make sure there’s no compromise in speed when multitasking, streaming while gaming, and doing productivity work. We wanted to make sure we had 16GB of RAM in this build so we weren’t compromising on performance in any way…while it’s very unlikely that most of you will actually use all of this RAM, we still thought it best to include it just in case you start tackling high-end tasks. Corsair’s high build quality should ensure its stability for years to come, and the jet-black and gold heatsink isn’t bad, either. 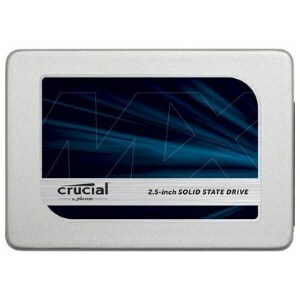 The Crucial MX300 1TB is a stellar value. It’s a full terabyte of SSD storage! It’ll be more than enough to hold your operating system and all of your most-played games. We recommend still treating this as “priority storage”, however, and saving all your non-gaming media for the included 3TB HDD, since those formats won’t benefit from an SSD’s speed boost. 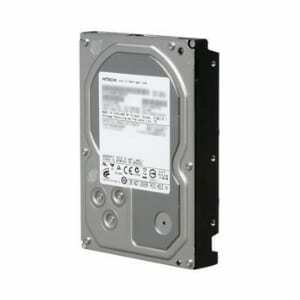 Hitachi makes some pretty solid hard drives, and this 2TB drive is no different. It’ll give you plenty of supplemental storage in addition to your SSD- we recommend storing all of your media and most of your single-player titles on this drive, while leaving your multiplayer games on your SSD. EVGA and Corsair are our favorite PSU manufacturers— not only do their products come at an amazing value, they also have stellar build quality that you can trust. The EVGA SuperNOVA G1+ 750W PSU is proof of that. It boasts a great 80+ Gold certification (which means it will use less power and output less heat), its 750W capacity will be more than enough for your high-end components and future upgrades, and its fully-modular form factor will make the building process easier than ever. 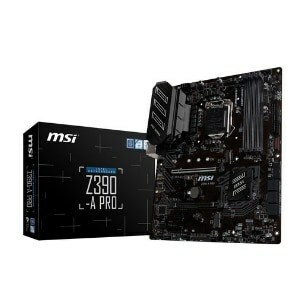 If you want a feature-packed motherboard suitable for a high-end PC build, the MSI Z390-A PRO motherboard accomplishes that and then some. Featuring overclocking capabilities for our included i5 processor, alongside plenty of USB 3.1 ports and expansion slots–not to mention having another M.2 slot, the Z390-A PRO is built from the ground up to provide you great gaming experience. Last but not least is our case. Meet the SPEC-OMEGA from Corsair. 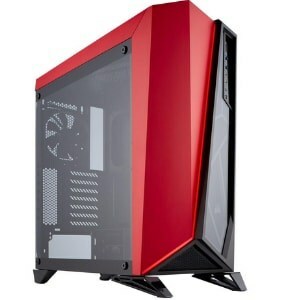 It’s a beast of a case, boasting a huge tempered glass side window for you to look in at your build. With its two included fans (including a white LED intake fan) and open-airflow design, you’re sure to get all the cooling performance you need an expect from a high-end gaming PC build. Alongside the great airflow and aesthetics, the SPEC-Omega is also very builder-friendly, offering plenty of options for cable management, drive mounting, extra fans and room for our liquid cooling setup. This is far from a budget case, and once you get your hands on it you’ll know why. Why is this the Best $1500 Gaming PC? We looked at competing $1,500 builds and they’re dreadfully outdated. Unlike them, we managed to cram in a full overclocking setup, a massive 1 terabyte SSD, 16 gigs of RAM and a 1070 Ti. No real compromises were made here, just intelligent and up-to-date part selections to ensure that you’re getting the best PC for $1,500 on the Internet. In addition to the performance that you’ll get after initial assembly, the large, modern, OC-compatible motherboard and the massive case will allow you all the upgrade and expansion options you’ll ever need. If you’re spending a lot on tech, you probably want it to be an investment, and with the right upgrades, this PC should continue to live on for at least the next five years before you even need to think about replacing it. What games can this PC run? In this section, we’re going to tell you how this game should be able to run your favorite games. Fortnite - At 4K and Epic settings, Fortnite should be playable at roughly 40-50 FPS. We recommend making some settings adjustments if you’re playing at 4K, or turning down to 1440p Epic instead. PlayerUnknown’s Battlegrounds - PUBG is fairly demanding, and may not be playable at 4K60 with max settings. With some settings adjustments or a downgrade to 1440p, however, you should have a great gaming experience with this PC build. Monster Hunter: World - Monster Hunter: World is a pretty massive performance hog, so 4K 60 will require a lot of compromises. We recommend adjusting resolution scaling or turning down to 1440p with this game. League of Legends - League of Legends is a lightweight eSports title and this build destroys it in just about every way. You won’t have problems playing at 4K60 with this PC build. Dota 2 - Dota 2 should be playable at 4K 60 FPS with plenty of room to breathe- as high as 130-140FPS, in fact. We highly recommend playing with a 1440p/144hz monitor with this build and this game. Overwatch - At 4K with Ultra Settings enabled, you should generally be sticking right around the high 50s and low 60s in Overwatch. If you find yourself dipping more often than you like, consider adjusting some settings or your resolution scaling. Rainbow Six: Siege - At 4K, you may need to make some settings adjustments to maintain a stable 60 FPS. In 1440p and Max settings, though, you should experience anywhere from 70-80 FPS in this game. Warframe - This build is more than powerful enough for playing Warframe at 4K, Ultra settings and 120+ FPS. Grand Theft Auto V - Playing at 4K, you should be able to achieve 40-50 FPS with Very High settings. You may want to adjust your settings or turn down the resolution to achieve 60 FPS, however. Team Fortress 2 - TF2 is primarily a CPU-centric game, so running this game at 4K60 should still be quite feasible with the i5 in this build. However, if you experience spikes of bad performance, you may need to turn down some settings. Considering the fact that not everyone is into the idea of building gaming desktops from scratch, we took the initiative to give you alternatives. All of the below picks are equipped with at least a GTX 1070 graphics card to make sure you get quality gaming experience. In fact, the first one on the list is equipped with a GTX 1080 graphics card that’s paired with a Ryzen 5 2600X. We mentioned in the requirements section that you could climb to an even higher tier with this build. Here are our recommended upgrades if you want to take the best gaming desktop under $1,500 to the next level! Note: These will raise the price of the build! The GTX 1080 Ti is, by all accounts, overkill. It can push most games at 4K/60 FPS without breaking a sweat, and when playing other titles at lower resolutions, it can go well over. Effectively, you’re looking at a 20 FPS boost in most titles from the 1070 Ti to the 1080 Ti. If you want to go a bit above the best gaming PC build under $1500 and future-proof a bit, the 1080 Ti may be the answer you’re looking for. Just keep in mind that performance bump comes at quite the price premium. NOTE: This card was review-brigaded on Amazon by people upset about its price. 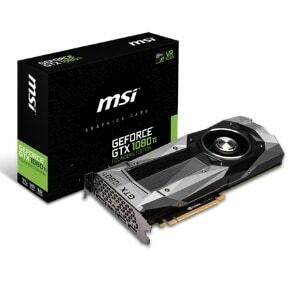 No verified purchasers have complained about the card, and its price is now in line with other 1080 Tis. Don’t fret! You remember that summer job you had as a kid and the boss came up to you and was like,”Hey, can you go downtown and place this order for me?” and you were like really overwhelmed, but now that’d be like a nice stroll through the city? Well that’s the way this computer is with VR. Previous builds could technically do VR, but now it should have no problems. 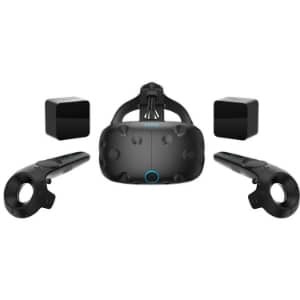 Of the two headsets, we recommend the HTC Vive over the Oculus Rift due the former’s better developer support. Do note that buying these will add an extra $500– if not more– to the total cost of your build. 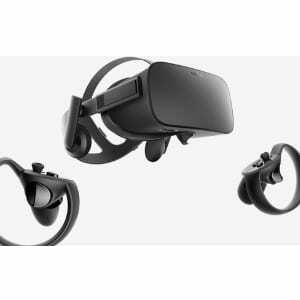 VR gaming isn’t cheap yet! Since you’re buying the best $1500 PC build, you might already have your OS and peripherals from your old PC. If you don’t, however, we’ve written up this section to help point you toward what you need. Before the best $1,500 rig can show its worth, it needs an operating system. For the best gaming and general compatibility, you’ll need to buy Windows 10. If you can’t afford Windows 10, however, you may need to go with a free Linux distribution until you can. 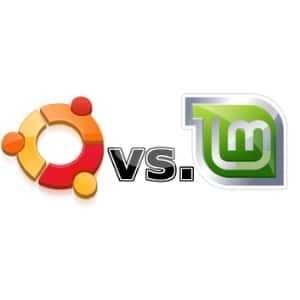 As far as those go, we recommend Ubuntu or Mint as these are the most well-supported and easy-to-use Linux distros. These will still be very hard to use and setup for most Windows-adjusted users, though. Once you’ve chosen your OS, you’ll want to install it via an USB. We’ll dive more into that below. Here are our high-end picks for peripherals. 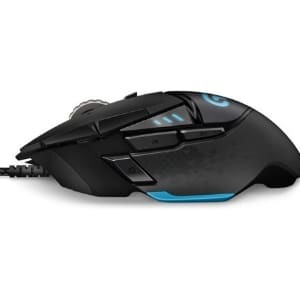 The Logitech G502 is one of the highest-rated gaming mice on the market thanks to its top-of-the-line sensor and build quality. It’s been the best of Logitech’s gaming mice for years now, and its only real competition is an RGB version. 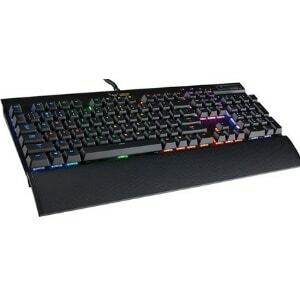 For a high-end keyboard, we recommend the Corsair K70 RGB. In addition to Corsair’s incredible embedded RGB solution, the K70 boasts truly stellar build quality, macro capabilities, and more. How are you going to take in all these great graphics without a screen? Here are our top picks for this build. Since you’re playing with your $1500 rig, you should be able to push 144hz in all of your favorite eSports titles with no problem. Because of that, we recommend the Acer GN246HL and Acer XF240H, which will allow you to take advantage of all your extra frames. If you’d like a different monitor than what’s recommended here, you can also take a look at our Monitor Guide. Whether you’re listening to music or in the fight of your life, you need good sound to make it through. Here are our picks for this build. 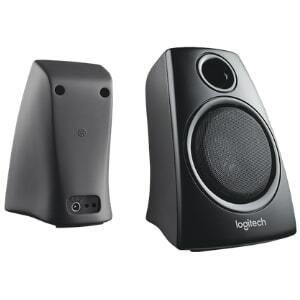 The Logitech Z130 Speakers are a standard set of speakers, sure, but they’ll do the job and sound great in the process. 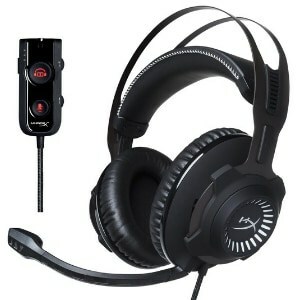 We recommend the HyperX Cloud Revolver S Gaming Headset thanks to its 7.1 surround sound and superb build quality. The addition of a noise-canceling microphone also makes it great for clear comms with your teammates! If you’re serious about competitive gaming and streaming, don’t settle for anything less than this 25-foot ethernet cable from Amazon. 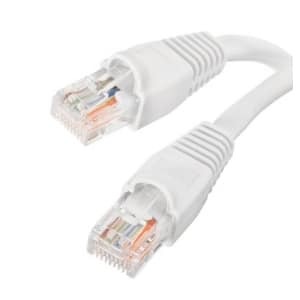 Ethernet cables offer the best performance and reliability for gaming and other network-intensive, latency-sensitive tasks. 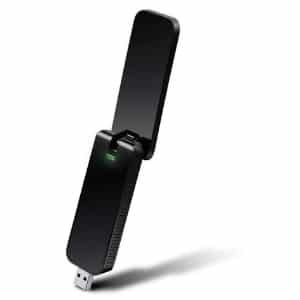 If you must use Wi-Fi, go with the TP-Link Archer T4U. It’s a pretty great Wi-Fi dongle, but you’ll be sacrificing performance for convenience. We really only recommend using Wi-Fi when you’re on the go, however. When spending this much money to get the best $1,500 gaming desktop, you want to make sure you’re doing everything right. So, to keep you from making the same mistakes every other newb PC builder makes, you’ll want to familiarize yourself with common PC building concerns. This is one of the most important building tips out there. Basically, static electricity can destroy the complex, yet sensitive circuitry on your various parts. You can use an anti-static mat which you set your components on before mounting them. An anti-static wristband is another option; this product anchors you to reduce any charge you might be holding. We even have a guide on to help you how to properly use the anti-static strap. This video guide will walk you step-by-step through the PC building process. Supplement it with the instruction manuals included with your components and you should be fine. For a more detailed list, our How to Build a Gaming PC guide includes everything a newbie builder needs -- from deciding on a budget to maintaining the computer for years. If you have a 4GB+ USB stick laying around, congratulations: you can save some money and space by just installing your OS via USB (as opposed to being forced to install a disk drive on your computer and then use an installation disk). 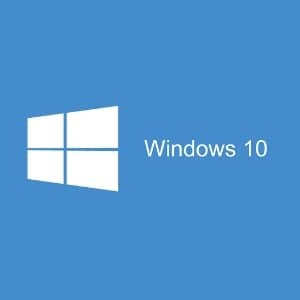 Use the Windows 10 Media Creation Tool to create a Windows installation USB stick. UNetbootin or Rufus can be used to do the same with a Linux distribution. 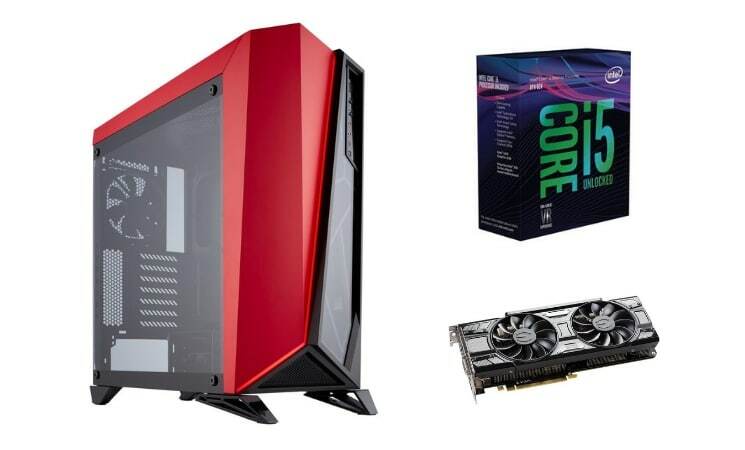 You now know how to build the best gaming PC under $1,500 as of 2019. Games at the highest of frames and resolutions, streaming, rendering and encoding without a breaking a sweat- with the power inside it, nothing can stand in your way. So what do you think? Are you still confused? Is there something essential that’s missing? Or did you try out the build for yourself and just want to tell us how you’re enjoying it? Comment down below and we’ll help you out (or congratulate you; whatever’s appropriate)! Not the right one for you? Very good components choice and a really helpful guides for us, noobs pc builders. Thanks! Everything looks great except the PSU. Why skimp when the 620W is only 25 bucks more? You won’t be stressing the more powerful PSU as much as the lesser, which should result in cooler temperature and longer life. Since this is a gaming setup, we can assume the GPU and CPU will be pushed to their limits, which is going to give that minimum spec PSU a real workout. Never skimp on the power supply, it’s not worth saving a few pennies (relatively). 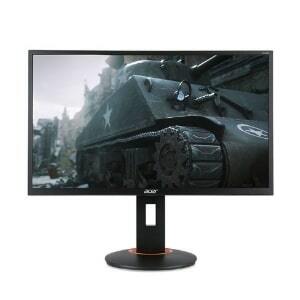 This might be a dumb question, but does this build support mulutple screens? Hi, Robert! Thanks for checking us out! Yes, this does support multiple screens 😀 The listed GTX 1080 graphics card has 4 HDMI ports and a DVI-D port at the back. What happens if you throw a second 1080 at it? How do you hook up a radiator cooler to the CPU? Could you possibly link a video or some kind of way for me to understand? Would this motherboard support m.2 ssds? Would this work fine with an i5-9600K? Hey there. I’m new to PC building. I was just wondering what upgrades to this build would be required to get the frame rate up to 144 at 1440p on harder games to run like PUBG of Fortnite? Thanks for the awesome setup guide! I just wanted to say thanks for this guide. I was a first-time PC builder and did 2 of these for my kids. Your guides were a big help. It was pretty straightforward and we are very happy with the end result. Much better and cheaper than buying a pre-built. Think its funny that the build cost 2000 dollars and you guys say its costing 1500 dollars? 500 dollars different?? I’m building a new PC now and this build looks pretty nice. Would it be worth it to throw a RTX 2070 into this for future proofing? Also I have never put together a liquid cooler before. Is it pretty straightforward? I see that Gigabyte GeForce RTX 2070 Gaming 8G Ggdr6 is available at US$530 and gtx 1070 ti costs 500 US$. Is it advisable to go for rtx 2070 to stick with gtx 1070ti. Also I am moving with intel i7 8700 instead of i45 mentioned here, is it a good decision. I bought all the parts listed for this build but I have run into a problem. I can’t mount the radiator to the top of the case without it touching the RAM and the CPU power plug. I’m worried that 1) this will harm one or both of those components from the vibrations from the fans running, and 2) that I’m missing something obvious. Additionally the radiator and fans block the top of the DIMM slots, so if I was to add more RAM in the future, I would actually have to remove the radiator and fans to do so. Help! EVGA CLC 280 RGB does NOT fit in the Corsair case. Not even close. Even if you were to jury rig a way to secure it in there, it would be in constant contact with the RAM, and you’d have to remove it to add or replace RAM. The rest of this build has been pretty nice, but that was kind of a bummer. I have a 240 on the way because it looks like it should fit from the measurements.